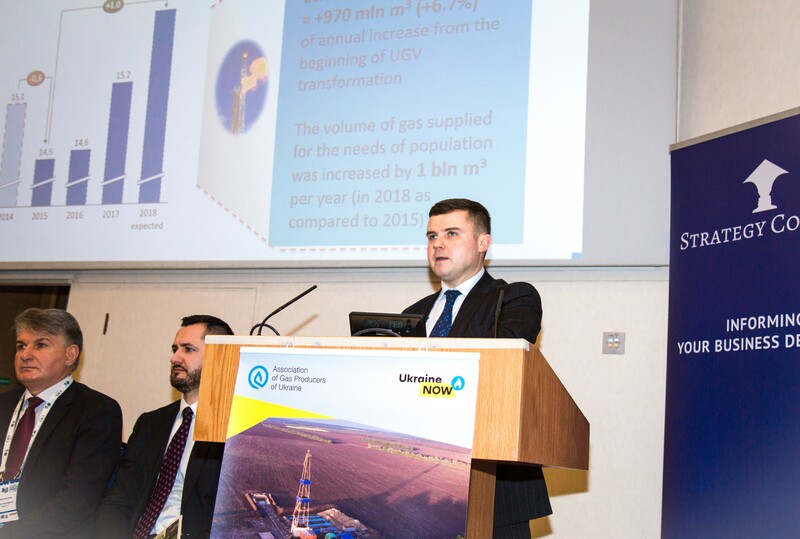 Oleh Prokhorenko, Chairman of the Board of JSC Ukrgasvydobuvannya, told the potential investors, leading experts and representatives of the international energy community about the main areas for cooperation with the largest gas production company in Central and Eastern Europe within the Ukrainian Gas E&P Forum held in London on January 29. Ukrgasvydobuvannya as the owner of the largest hydrocarbon resource portfolio in Ukraine presented the PEC (Production Enhancement Contract) project on production stimulation in mature and depleted fields to the international partners. It is planned to involve international oil and gas companies to perform operations aimed at stimulating production and developing ground infrastructure in order to increase natural gas production in the fields for which Ukrgasvydobuvannya possesses special permits. In particular, the applications for pre-qualification are being currently accepted from interested partners. Therefore, everyone may submit a package of documents on the company for further participation in the project. In addition, Oleh Prokhorenko told about the results of reforming the largest gas production company in Ukraine and about the possibilities for cooperation in​procurement of maintenance services and equipment. Thus, the breakthrough in the development of the Ukrainian service market was due to the involvement of leaders of the oil and gas market by Ukrgasvydobuvannya such as Baker Hughes, Halliburton, Schlumberger, Solar Turbines, Weatherford, Bentec, Tacrom. The above companies first began to provide significant scopes of services in Ukraine. In particular, Oleh Prokhorenko presented several successful projects implemented with Schlumberger and Weatherford. The presentation by Oleh Prokhorenko is available at link. 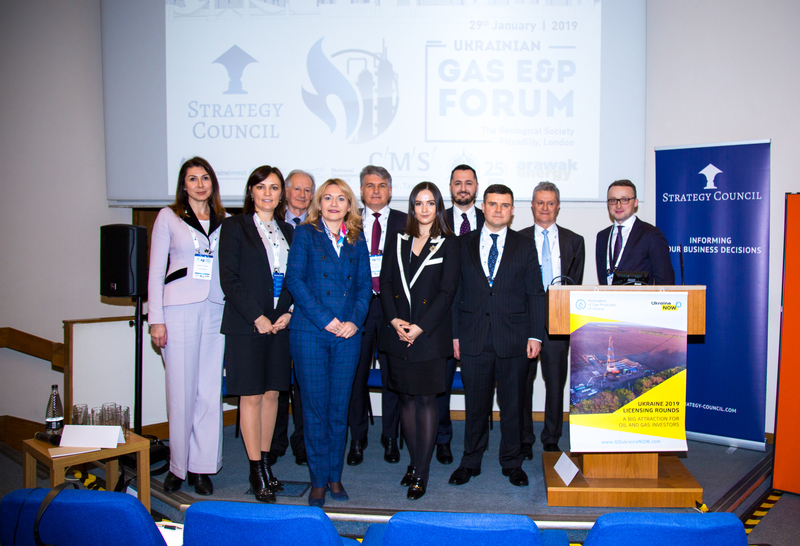 The event was organized by Strategy Council with the support of the Association of Gas Producers of Ukraine, the National Investment Council under the President of Ukraine, UkraineInvest and the Embassy of Ukraine in the UK.